Irvine, CA – Sunny climates are often cited as a major contributor to the visible signs of aging, but it’s not just UV rays that can hasten the aging process. 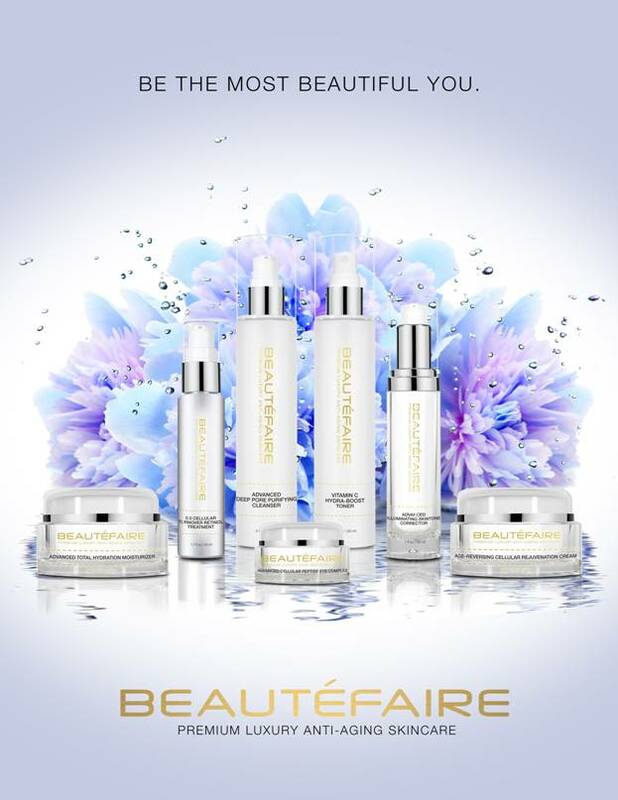 BEAUTÉFAIRE skincare products were developed to help individuals look their most beautiful in any environment. Even those that wear hats, use sunscreen and limit their time outdoors are finding that their skin is experiencing aging beyond what they should expect for their age. The culprit is increased exposure to environmental pollution. 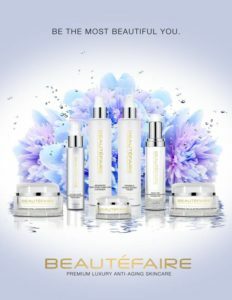 BEAUTÉFAIRE has created a unique line of skincare products that help address a variety of aging concerns. The cruelty-free and vegan-friendly products contain no parabens, phthalates or sulfates. Of special interest is the company’s Age-Reversing Cellular Rejuvenation Cream, designed specifically to nourish skin and protect it from environmental damage. Appropriate for all skin types, it helps with hyperpigmentation and is rich in amino acids, algae extracts, collagen-building vitamin C, and the powerful plant-based antioxidant ferulic acid. The rejuvenation cream works by hydrating and sealing in antioxidants, while tightening and firming skin to reduce the depth of lines and wrinkles. The addition of skin lighteners supports healthy melanin production that aids in mitigating skin discoloration and hyperpigmentation. Also popular is the company’s Cellular Turnover Retinol Treatment. The night cream resurfaces skin, refines texture, and encourages cellular turnover for a more youthful look. It stimulates collagen production and minimizes the appearance of fine lines and wrinkles for rejuvenated skin. BEAUTÉFAIRE introduced its Vitamin C Hydra-Boost Toner with hyaluronic acid, vitamin B5 and phytoactives for acne prone skin. It soothes inflammation, has antibacterial properties and is a potent antioxidant. It’s especially beneficial for individuals that find traditional moisturizing creams too heavy. For the delicate eye area, BEAUTÉFAIRE has created a luxurious regenerative anti-aging cream that fights the signs of chronological aging. The Advanced Cellular Peptide Eye Complex works to boost collagen production, stimulate cell regeneration, and repair damaged skin with a proprietary formula of anti-aging ingredients for skin that’s softer, smoother and more youthful looking. 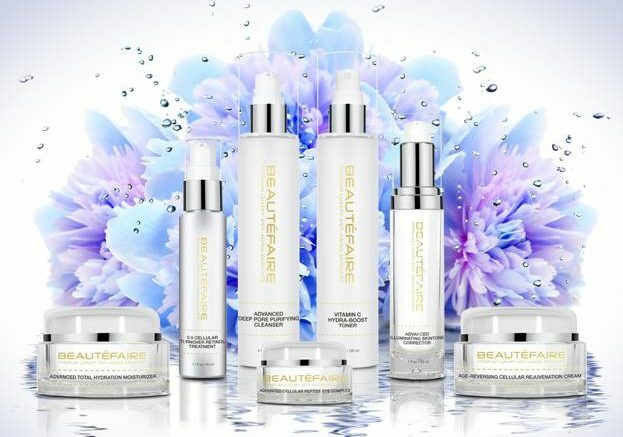 The Advanced Age-Reversing Cellular Rejuvenation Cream by BEAUTÉFAIRE has earned the company a loyal following by clients that have experienced real results. It’s never too late for skin protection from environmental conditions and the luxury brand specializes in anti-aging formulas that are appropriate for people of any age. Be the first to comment on "BEAUTEFAIRE Specializes in Luxurious Anti-Aging Skincare"